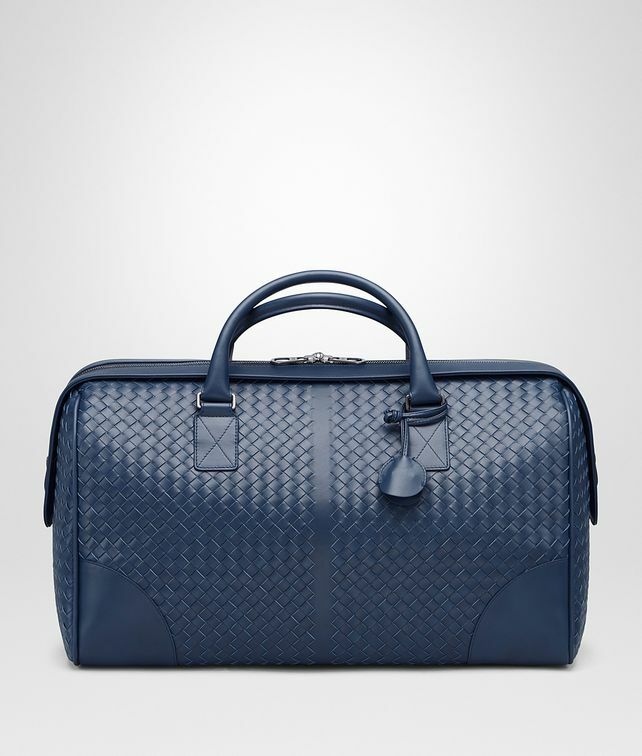 Pairing quality construction with Bottega Veneta's signature Intrecciato workmanship, this calf leather duffel bag is designed to last. Featuring a double handle and detachable strap for added versatility, the style is characterised by a sleek, elongated double-zipper fastening with snap-button ends. The cotton-lined interior is fitted with a zip pocket and flat pockets to keep smaller accessories in order. The corners are reinforced to ensure the bag remains perfectly polished. Height: 28 cm | 10.9""
Depth: 24 cm | 18.7""
Handle drop: 18 cm | 5.9""
Strap length: 140 cm | 55.1""